Introducing our toughest seat yet. The Profile Guide Series Seat has welded seams on our 30 oz marine grade vinyl so it is impervious to water, an upgraded thicker high density foam insert and our no pinch hinge w/lock. This seat is built to withstand harsh conditions, keeping you comfortable and on the water longer! Stainless Steel hinge pins secure the fold down back and included 1/4" x 20 t-nuts allow mounting to most standard marine swivels, slides, or seat spiders. The Profile Seat Shell will also accept our proprietary Quick Disconnect Mounting Kit for even more functionality. 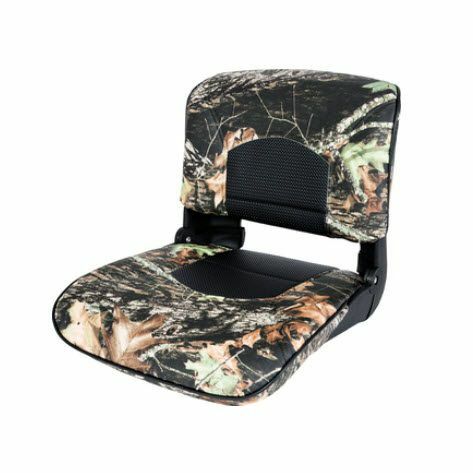 Includes custom fitted cushion, (also available as a replacement item).